Oxford Central is rated 4.1 out of 5 by 51. Take a big leap towards achieving your fitness goals by joining our great-value gym in Oxford town centre where everyone and every body is welcome. Whether you’re just looking to shift a few pounds, tone up or develop a peak physique we have everything you need to hit your targets, all with no contract. Improve your endurance and stamina with our fantastic range of cardio equipment from treadmills and rowers to spin bikes and more! Increase strength and build muscle mass in our large free weights area packed with high quality dumbbells, weights benches and squat racks. Get strong and toned with our excellent range of fixed weights machines, including the leg press, lat-pull down, chest press, and much more. All changing rooms have lockers, showers, hairdryers and plug sockets for your own appliances – and everything’s deep cleaned every day. Work out in a group at our free fitness classes! We have over 50 free classes available every week, from fat-burning indoor cycling and circuits to legs bums and tums. Improve your flexibility or challenge yourself to a bodyweight workout in our spacious multi-functional area. Oxford central has all the kit so you can enjoy more optimised workouts to reach your fitness goals. You can conquer your strength goals in the large free weights area where we have loads of kit, including benches, an additional Olympic lifting platform and squat racks. 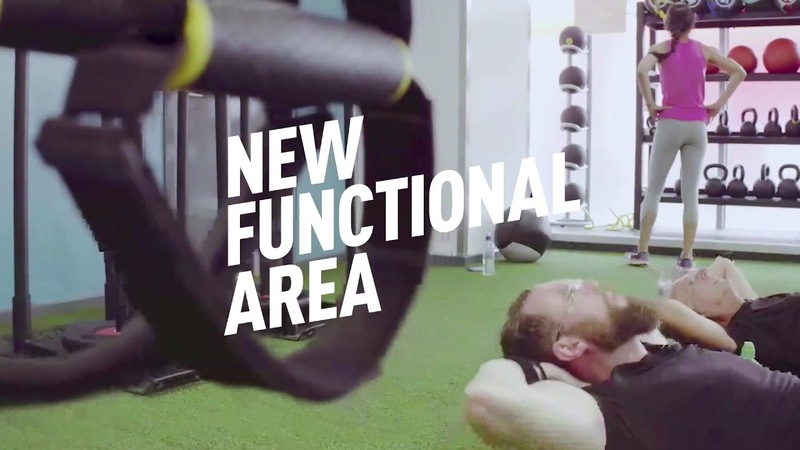 We also have a functional area where you can do all your functional and bodyweight training, so you have more ways to workout to reach your goals. To help keep you hydrated we have a sports water unit which will have 6 fruity flavours available to choose from. Don’t be concerned that we’re a cheap gym because we are brimming with more than 220 pieces of the latest equipment throughout all 230 of our spacious and air-conditioned clubs. Love a classic cardio work-out? Step on to our cross trainers, treadmills, steppers and rowers. Or how about a trip through different terrains on our spin cycles equipped with computerised monitors to highlight your progress? We’ve got stacks of fixed-resistance and plate-loaded gear too, plus a massive free weights area to strengthen key areas of your body. If you want to make the most out of your workouts and get better results you need to keep hydrated and what better way is there to do so than with our sports water. Available in 6 fruity flavours and packed with essential vitamins the sports water can be yours for just £6 a month. To enjoy 500ml each time you visit go to our bolt on’s page and get access right away. If you love to work out with a gym buddy or in the company of others you’re in luck because we have more than 50 free classes available every week. If you’re looking for high-energy classes designed to see off those pesky calories then try out fat burn, boot camp or circuits. And if you love to get your body moving accompanied by top tunes then choose between aerobics and dance. Or if you require a form of exercise at a slower pace but with maximum impact try pilates - it strengthens the parts other classes cannot reach! We’ve got so much to offer at PureGym and for such a great price too. If you like what you’ve been reading then join online and book a free induction with a qualified instructor who will show you how the equipment works and advise you on the best form of exercise to suit your needs. If you prefer to give us a test run then book a day pass to see how we can change your health habits for the better. Once you’re a member take advantage of special offers and discounts from leading brands and local businesses in the members’ area of the website. We are based in Littlegate House, 16-17 St Ebbes Street, OX1 1PT. If you’re coming by bike, you can lock it to the racks to the side of the building on Turn Again Lane. Alternatively, bus numbers 4, 4A, 4B, 4C, 5 and 13 will drop you off at Stop 1 on Castle Street, a minute away from the gym. Oxford train station is under 10 minutes’ away via bus number 5 to Castle Street, or, if you’re driving, the nearest car park is Oxpens car park on Oxpens Road, about 10 minutes’ walk away from the gym. Rated 4 out of 5 by Student from Brilliant classes at no extra cost I’ve been a member of Pure Gym for a while but recently discovered the classes they do. I have been to quite a few now and love them! Very easy to book a class on the app and go for no extra cost. Rated 5 out of 5 by Rebekah from A place where I feel real totally at ease I signed up to Pure Gym a few months ago and already feel like a different person - so much healthier and happier. The staff are friendly and knowledgable, I love the classes, and I feel fantastic after every visit. I wish I had signed up sooner. Rated 5 out of 5 by cfeast from Convenient and Friendly Best gym atmosphere I’ve encountered in the four countries I’ve lived. Very welcoming but very serious at the same time. Rated 4 out of 5 by Mdas from Affordable and convenient I go to the gym for the classes mostly and they are good and have a wide range of options. The location is in the city center and it's always open making it really convenient at a fairly low price. Rated 4 out of 5 by Yusuke from Very nice It is very convenient because of place and 24/7. I’d like to go more. But I can’t resister it only one month.